John Moore and Circular Space 360° Photography have been essential in developing 360° online Google tours for all of my restaurants, keeping them at the cutting edge in today’s digital marketing arena. Build trust with potential customers with a high-quality virtual tour that lets people experience your location before they arrive. These immersive, virtual experiences inspire greater confidence among prospective guests and patrons. A trusted professional for hire can help you more easily create and publish your virtual tour. 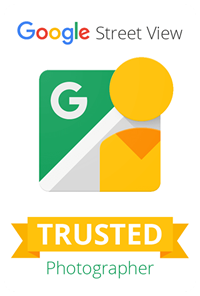 Google has created Business Views using the same “street view technology” that users have become accustomed to using. These tours capture multiple 360-degree panoramic photo shots of your business to give customers a better sense of what to expect when coming to your physical location. This technology brings your business to life online, and will help to entice more potential customers.